We’re at it again. We’re getting together and practicing making pictures. This is a fun time to meet and make photographs and chat and have a fun time. Since we’re visiting for Photoshop World, we’ll meet at the Hyatt Regency Lobby where the conference is being held. 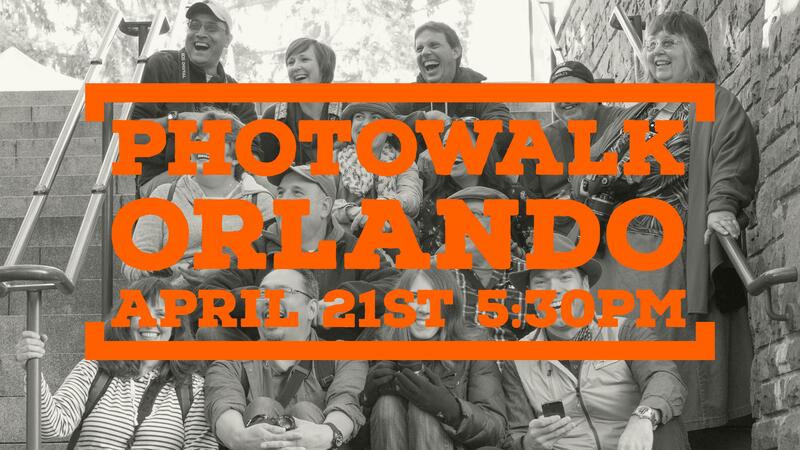 We’ll meet at 5:30 pm, head down International Drive and find some photos and maybe grab a bite before Stacy Pearsall’s talk later in the evening. We can practice architecture, street portraiture, and even long exposure motion capture. We’re looking forward to seeing you and having a great time. This photowalk is brought to you by Perfectly Clear Complete, which we’ll be demonstrating at Photoshop World. Please come by and say, hi. We’ll have some giveaways during the photowalk, too. Camera, fresh batteries, empty SD card, a Platypod or another tripod would be useful. Consider bringing one or two lenses and leaving the camera bag at home. Dress for the weather.